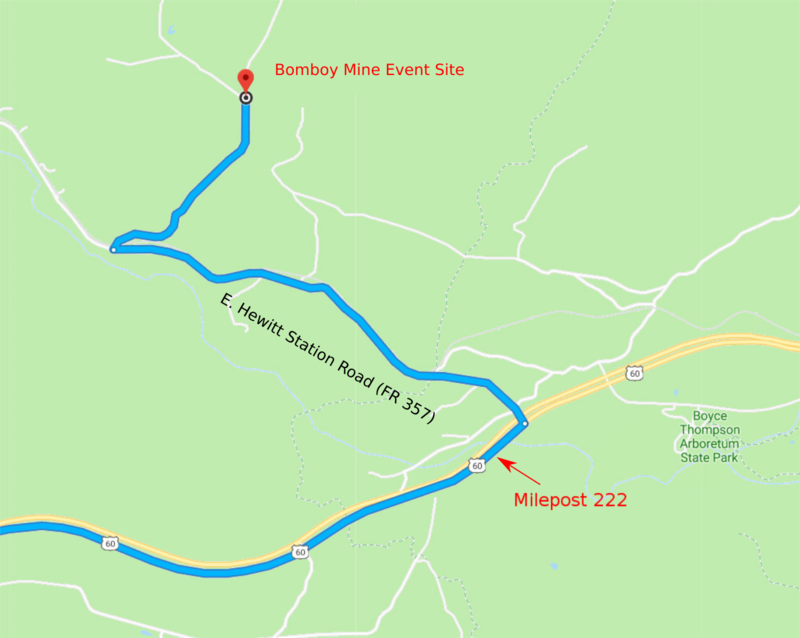 Our Bomboy Mine event site is located approximately 30 miles southeast of Apache Junction, very near the Boyce Thompson Arboretum. The location at the base of the Superstition Mountains is an excellent example of rugged, high-desert terrain. The vegetation is not quite as lush as other areas around the Superstition Mountains, but there are plenty of sharp, spiny plants to keep you on your toes. The views of the mountains in every direction are spectacular. Bomboy Mine is a very picturesque location to practice your orienteering skills. Take the Superstition Freeway (US 60) east through Apache Junction, towards Globe. 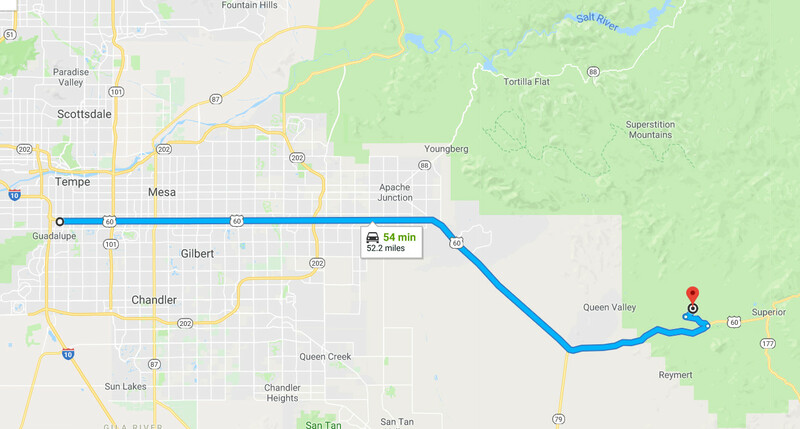 About .4 miles past milepost 222 and immediately after crossing the Queen Creek bridge, turn left onto Hewitt Station Rd (Forest Road 357). If you reach the Boyce Thompson Arboretum you have gone a half mile too far! Cross the cattle guard and continue straight. After about 1.5 miles on FR357, you will cross a wash with two 15 foot high drainage pipes under the railroad tracks on the right. Continue 0.2 miles past the wash, then turn right on to FR 252. The event site is about ¾ mile down the road, at a road junction. Look for an orange and white orienteering bag or orange cone at the last turnoff and at our site.